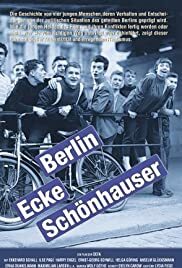 Berlin - Ecke Schönhauser depicts the youth of 1950s East Berlin as an aimless bunch, lacking goals, with no motivation to better themselves or to look beyond the thrill of the next dance or meaningless act of delinquency. Here the youth of the DDR have much in common with their American counterparts in films like Rebel Without a Cause. Unlike the spoiled LA kids choking on Eisenhower-era consumption, however, Berlin teenagers Dieter, Kohle, Karl-Heinz, Angelika and their friends live in poverty amid the ruins of WW II. 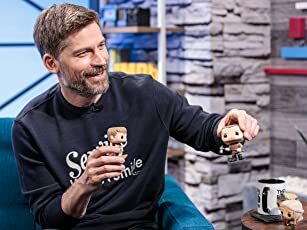 Parents are missing, killed in the war. As the city rebuilds, piles of rubble disgorge live bombs. While the East struggles to repair the damage of the last war West Germany rearms, this time with nuclear weapons. The kids are all right, but they survive in a pretty grim environment. To the youths, adults belong to an alien race who cling to hypocritical bourgeois values. There are exceptions – a sympathetic police officer takes an interest in the plight of the young people, promising apprenticeships to the out-of-work kids. But Karl-Heinz has other plans: pre-Berlin Wall travel between the city's Capitalist and Communist zones is easy, and Karl-Heinz exchanges East Marks for West and sells stolen IDs, eager to make enough money to enable flight to the West. One of his crimes goes suddenly wrong, and Karl-Heinz is on the run. Kohle and Dieter try to call in a debt, tragedy ensues, and the two flee West, leaving behind Angelika, pregnant with Dieter's child. Kohle and Dieter find West Germans suspicious, interested in espionage and not exactly welcoming. To gain asylum the young men must claim they suffered political persecution, a charge the film shows is patently false. The two friends decide to part ways, Kohle excited about heading to a new life farther west while Dieter is drawn back to the DDR life he knows. As the film closes some important lessons have been learned: The BRD is a locus for crime of all sorts, and it draws criminals out of the East, a statement made explicit in the film's closing lines. Socialism faces challenges; it is not perfect, but it wears the human face of loving well-intentioned men and women.